Wirth Services Inc. – Germantown Wisconsin | Belgard | Patio | Landscaping | Washington | Waukesha | Ozaukee | Expert landscape design and installation. Having an outdoor fireplace extends the seasons for you to use your outdoor living space. Cozy up to the warm fire and enjoy the outdoors. It's possible to create a backyard of you own you'll love to escape to. 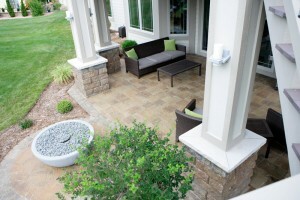 An outdoor living space can be the perfect extension to your home! 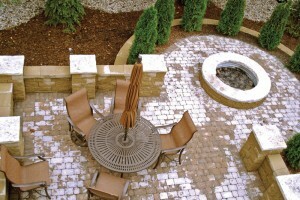 Even in the Midwest climates like Wisconsin, you can have beautiful water features built in to your landscape. Wirth Services total quality assurance program is oriented toward the goal of “total customer satisfaction”. Through 30+ years of pacesetting and achievements Wirth Services Inc has established itself as the area’s leader in landscape design and maintenance. Wirth Services Inc is a licensed and insured landscape company located in Germantown, WI serving all of southeastern Wisconsin. Get a free estimate on your next project! Call (262) 242-9580 or visit our contact page to get started. 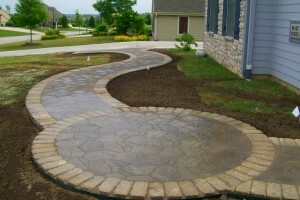 We take great pride in working with you to create the landscape of your dreams.